This downloadable printable was created for business/professional students, high school students and adults at Pre-intermediate (A2), Intermediate (B1), Upper-intermediate (B2), Advanced (C1) and Proficient (C2) level. 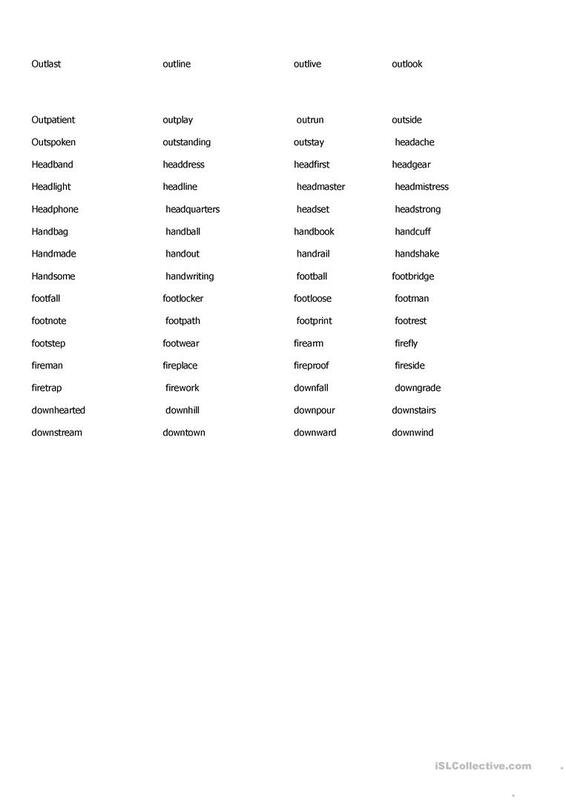 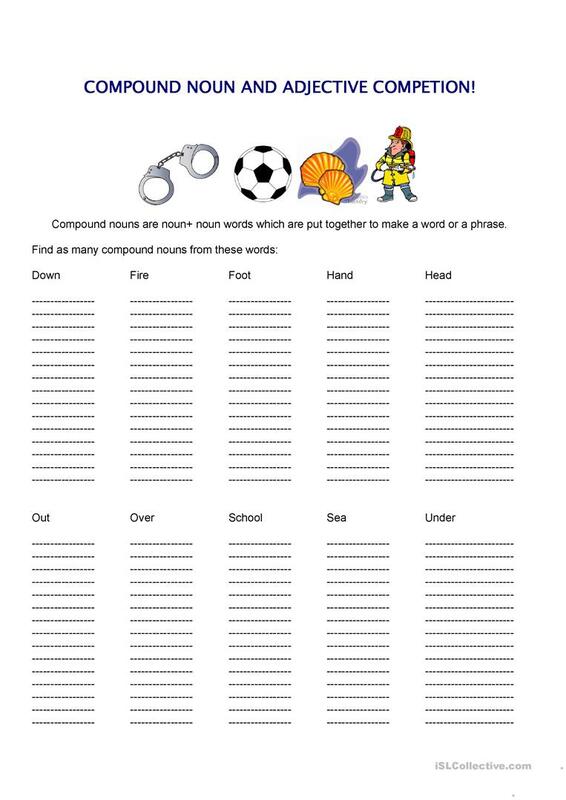 It is valuable for consolidating Nouns and Nouns: Compound nouns (e.g. 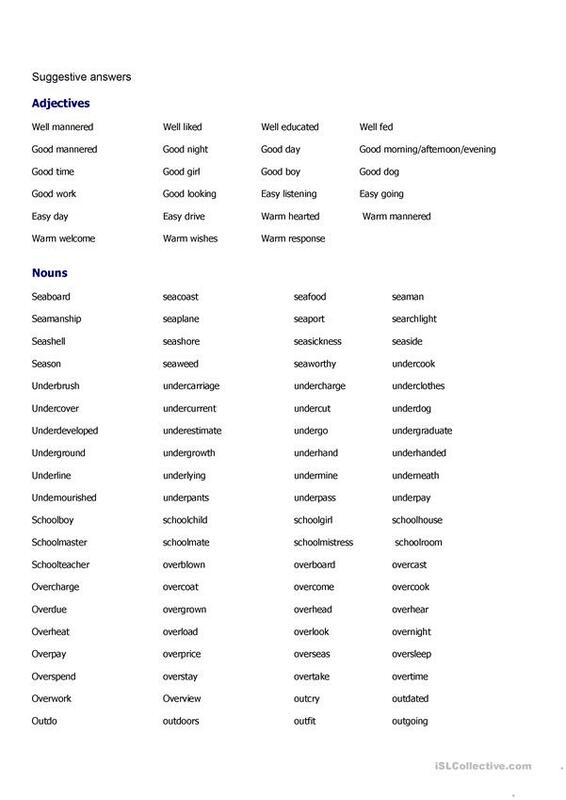 bus stop, washing machine, haircut) in English, and is excellent for working on your pupils' Spelling and Writing skills.